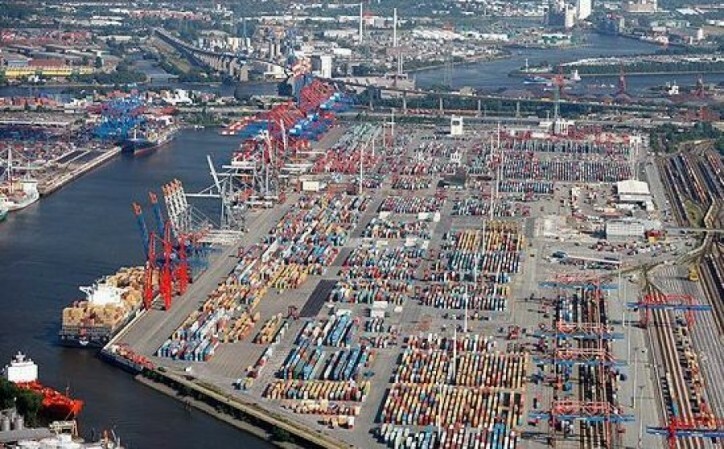 In the first half of 2018 the Port of Hamburg achieved total throughput of 66.5 million tons. That represented a moderate downturn of 4.9 percent, with the downward trend slowing in the second quarter. General cargo throughput at 45.5 million tons (down 2.2 percent) and bulk cargo throughput at 21.1 million tons (down 10.4 percent) contributed to the total in Hamburg. Bulk cargo represents one-third of the total. This segment caused 71 percent of the total downturn, with reductions in suction and liquid cargoes being market-driven. However, the 3.1 percent fall in handling of grab cargoes, the largest sub-segment, accounting for 55 percent – or 11.6 million tons – of the bulk cargo total, was within the range of normal fluctuations. A press release said that the trend in conventional general cargo handling once again proved very satisfactory. Up 777,000 tons or 8.0 percent, in the first half the upward trend first apparent in the fourth quarter of 2017 was maintained. In the first half of 2018 container throughput at 4.3 million TEU was slightly – 2.7 percent – lower than in the previous year. Handling of fewer empty boxes was the cause of 81 percent of the fall. In the first half a total of 525,000 empty containers (TEU) were handled, or 15.6 percent fewer. Handling of boxes stuffed with general cargo at 3.8 million TEU was almost stable, being 0.6 percent lower. Railborne container transport achieved a distinct advance, with total handling 5.4 percent ahead at 1.2 million TEU. In the 2018 first half, the previous year figures were beaten, and even the 2016 record. “A glance at the throughput trend for loaded and empty containers in the first six months shows that the Port of Hamburg handled less transhipment cargo and empty boxes. Its share of loaded containers remained stable in a tough competitive field, while Hamburg’s significance as Europe’s leading rail port was underlined by distinct growth in railborne container transport,” explained Axel Mattern, Joint CEO of Port of Hamburg Marketing. Almost 64 percent of the downturn in container throughput in the first half of 2018 is attributable to lower transshipment throughput, primarily on feeder services in the Baltic.